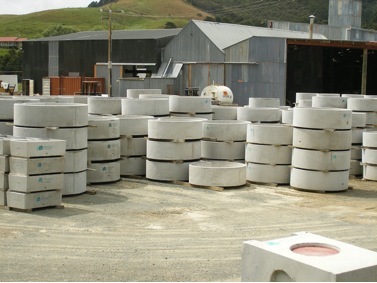 Absolute Concrete produces both L walls and T walls for containing feed silage from our yard in Kaiwaka. These tip out walls offer a fast-track construction solution. 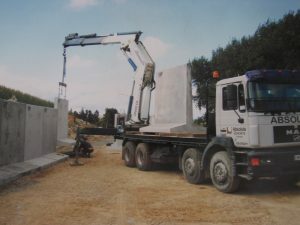 The versatility of precast concrete wall panels lends them to a wide range of applications; livestock housing, grain stores, storage bays, silage panels and flood defence walls. Concrete is used more than any other manmade material for good reason; it is sustainable, durable offers superior fire resistance, gains strength over time and is affordable. Our concrete products continue to perform in a wide range of New Zealand conditions. Our Absolute Concrete wall silage panels are manufactured using the conventional “L” and “T” shaped designs, and may be tied in to the floor with reinforcing starter bars to form a complete, rigid structure or left free standing. The wall panels are suitable for the storage of silo, grain, root crops, waste materials etc. 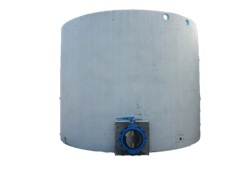 Our manufactured Absolute Concrete Silage bunker walls are then steam cured inside their steel moulds eliminating stresses within uncured product and ensuring the integrity and durability of the wall structure. Because of the method of manufacture, Absolute Concrete is able to achieve a durable and strong product across a range of sizes to suit your needs. They are manufactured with two lifting sockets cast into the edges of the panel for ease of handling and fitting with no holes to fill and seal in panel face. Panels are easy to seal along the vertical joints due to rebates cast in to the panel’s edges. Panels are easy to seal along the vertical joints due to rebates cast in to the panel’s edges. Panels can be made to be used either single loading, double loading and with a backfill load depending on your requirements. 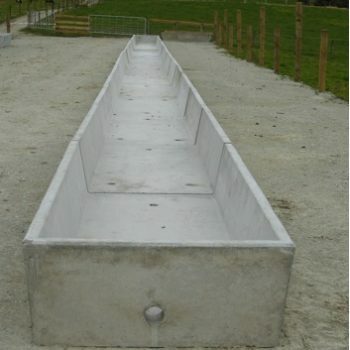 Absolute Concrete Silage Bunker panels are designed and manufactured to comply with the requirements of AS/NZS3109.